News hit last week that Mike Stevens and Dave Engbers, owners of Mich.-based Founders Brewing, sold a 30 percent stake of the company to Mahou San Miguel, a family-owned company that operates seven brewing operations in Spain and one in India. Terms of the deal were not disclosed. The deal will allow Founders to greatly expand and increase its presence overseas. The move is interesting for a variety of reasons, but as usual, the first thing everyone immediately wondered was what this does to Founders’ “craft” status, as 30 percent outside ownership exceeds the Brewers Association definition of what’s acceptable to be “independent.” Is Founders, a big presence within the Brewers Association, now no longer “independent?” That debate will be settled by the people that settle those debates at some point, and maybe the goal posts for craft will be moved again. Or maybe they won’t. But until then, let’s hear what the minds at Founders have to say about this fairly enormous business decision. Over the course of the past several months, Dave and I realized that we were coming upon the time to bring on a long-term partner to help us grow our brand on a larger scale — to move into the brewery’s next chapter. 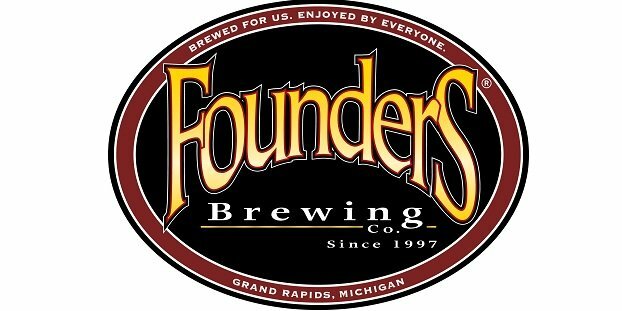 Founders has become recognized as one of the leaders in the craft beer segment. In considering the legacy of our brand, we knew that diversifying our ownership would allow Founders to thrive for many future generations. It’s important to us that Founders becomes a multi-generational brewery with roots in the culture that we’ve built right here in Grand Rapids. The right partner will help drive our growth. Despite the continued expansion of our facility in downtown Grand Rapids, Michigan, plenty of beer enthusiasts still don’t have access to our beer. Some of them (including some of you reading this right now) have been asking us about bringing Founders to their hometowns for years; others don’t yet know what they’re missing. We have plans for continued growth that will get the beer that we’re so proud of into more hands and that will help solidify Founders as a leading craft brewery for years to come. After a lot of reflection, we decided that it was important to partner with a brewer, not a bank. We considered many options and felt most comfortable partnering with a brewer because they have the best understanding of our world: We all get up every day and head to work, where we make beer. We wanted and needed a partner like us, that was product-driven and that cared about the longevity of their beer, their craft, their values, their community and their culture more than short-term financial results. We are honored to announce that Mahou San Miguel (Mahou), Spain’s most prominent and oldest brewer, will be our new partner. Mahou is a 125-year-old seventh-generation-family-owned brewery based in Madrid, and they are coming on as a minority investor in Founders. Mahou will help us grow to be an internationally recognized brand. They’re looking at this investment as a long-term partnership, and they’re excited to help grow Founders throughout their extensive global distribution footprint. Mahou’s financial stability opens doors to new opportunities for us. With this partnership, Mahou’s assumed a 30% minority ownership in Founders that allows us to afford some liquidity to our long-standing shareholders. Many of our early investors are aging, and we believe it’s fair that they have the opportunity to realize a portion of their significant investments in the brewery. This is our way of saying thank you for their loyal support over the years. They go on to state that nothing will really change for the Founders operation here as they are committed to Grand Rapids, and the deal will also not affect its domestic footprint.